Soon after the Environmental Protection Agency was created in 1970, it began a monumental project to photograph the United States, in all its industrial glory. The initiative, dubbed Documerica, employed more than 100 freelance photographers to capture “images relating to environmental problems, EPA activities, and everyday life.” From 1972 to 1977, they took more than 81,000 photos, many before the EPA instituted programs to clean up the country’s fouled landscapes, air and waterways. The EPA tasked each of its photographers with documenting a specific environmental problem in certain areas, from noise pollution in Boston to health impacts on coal miners in West Virginia. 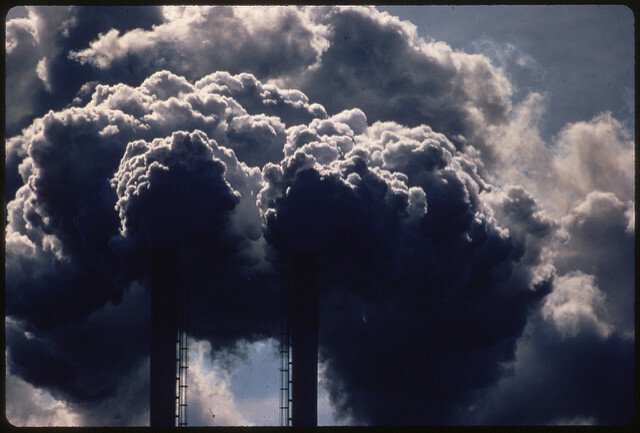 Since it was created by President Richard Nixon, the EPA has been in charge of enforcing some of the most important environmental protections in modern history, including the Clean Air Act, the Clean Water Act, the banning of the pesticide DDT and the phaseout of lead in gasoline. More recently, the agency toughened rules for vehicle emissions and readied former President Barack Obama’s controversial Clean Power Plan, since stalled by court challenges. Environmentalists fear many of those efforts may soon come to the fore once again under the presidency of Donald Trump. Trump’s pick as EPA administrator, Scott Pruitt, is a climate-change denier who has sued the agency 13 times as Oklahoma attorney general. Pruitt has repeatedly said the environment would be “fine” without the EPA, and has threatened to roll back regulations protecting air and water. Pruitt acknowledged during his confirmation hearing last week he doesn’t believe climate change is a “hoax,” but he refused to agree with 97 percent of scientists who say the phenomenon is caused by human activity. Just this week, the EPA froze all of its grant programs (including funding for research and air quality monitoring) and told employees not to talk to reporters or use social media until further notice. On Tuesday, Trump announced he’ll push forward the Keystone XL and Dakota Access pipelines, which opponents say will worsen climate change. Below, take a look at some of the images of America as it existed during the EPA’s advent. The entire Documerica archive is available online. 0 Response to "We Know What The Country Looks Like Without The EPA: Filthy"